I've managed to find a bit of free time over the last week (why is Summer always busier than I anticipate? ), and I used it to finally crack into Sherri Lynn Wood's Improv Handbook. It seems like forever ago that I was relaxing at the pool flipping through this book after QuiltCon...only 4 months though. 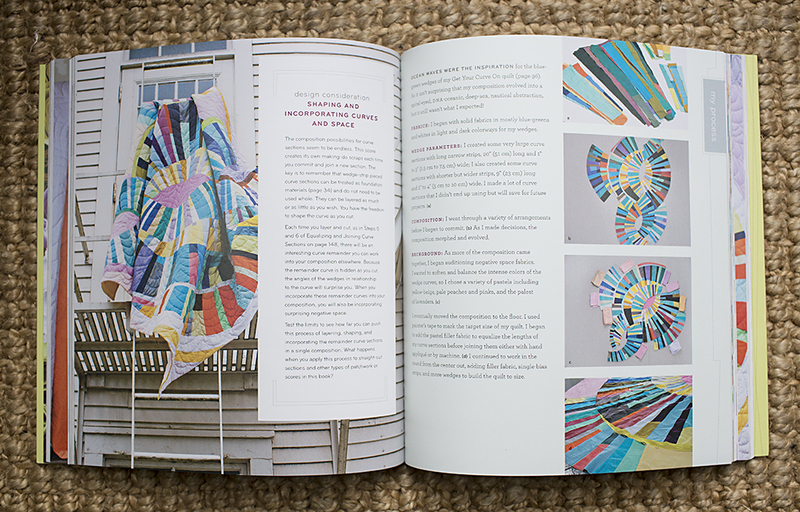 The Improv Handbook for Modern Quilters is on my all-time-favorite-most-beautifully-photographed-books list. There is just so much content (174 pages!) and fuel for creativity in here. I'll be honest, I'm a picture person and I usually don't read everything in a quilting book. But I sat down with this one and it's been so interesting. I actually keep it on my coffee table! 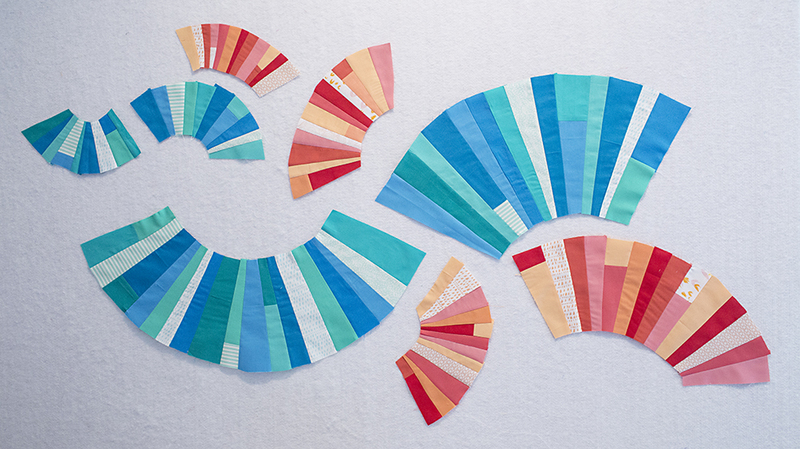 I knew the first project I wanted to try to tackle in this book was one of the curve quilts. I went through a bit of color-paralysis but decided on some monochromatic segments. Mostly solids with a few coordinating, low volume prints mixed in. It was a somewhat messy, but totally freeing process. VERY fun. It did not take too many hours to finish these segments. I need to make more. Should I add more colors? Stick with this palette? Now is when I begin to over think it. I'm a bit nervous about how it's all going to go together, but the instructions have over 10 pictures so I think it should go well. I'll share more as I create! There are a couple supplemental resources for those of you working with this awesome book. First, the Test Quilt Galleries ~ 165 quilts made by testers during the book writing process. Amazing! Second, the Improv Handbook Facebook page. This is a space where Sherri Lynn Wood and other quilters actively share their process.